North Atlantic right whales have been dying in unusual numbers this year (14 or more so far). For a population that is endangered and numbers around 500 individuals, this is a rate that is highly threatening to the future of the population. The animal was tightly wrapped in heavy ropes, and deep cuts were apparent in its body, mouth, fins and blubber. Local people who saw the whale towed by the Canadian Coast Guard said a large snow crab net had to be cut off the carcass after it was brought ashore. Not a nice way to go, and even worse the dead whale appears to be a female, so that is yet another breeder removed from a tenuous population. But the point I really want to make here is: snow crabs? Is it so important that we be able to eat snow crabs that this result can be tolerated? I don’t think so. I’ve never eaten one? Have you? If you have, I am sure it tasted good. But I am also sure that your life would not be altered in any meaningful way if you never had the option of putting a snow crab on your plate. Yet, an important, gentle and sublime species of whale is being threatened by this industry. In any moral calculus, I can imagine some human needs that are so great that impacts on other species are justified and understandable. But it is simply not possible to suggest that our taste for snow crab (or any of the other fisheries that keep entangling whales) can justify the ongoing winnowing of a majestic whale population. Yes, fishermen need to earn a living and take care of their families. But we need to get a lot smarter about helping fishermen and others transition from industries that can’t be justified in light of their impacts on the natural world. For this, and many other reasons, I don’t think most of the human population needs to eat any fish or crabs. 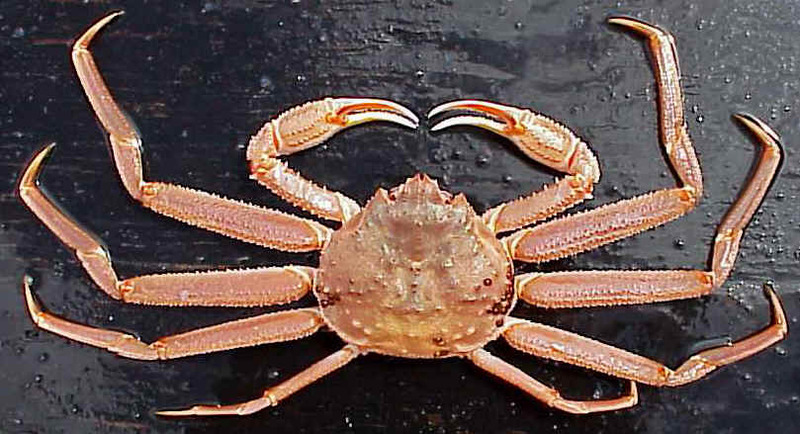 Even in a world that does eat from the sea snow crabs can easily be taken off the menu. And if we aren’t more thoughtful and rigorous about what we eat and how it impacts the rest of the planet we will casually, and without thought, eat our way through much of the beauty and wonder that this planet offers us.